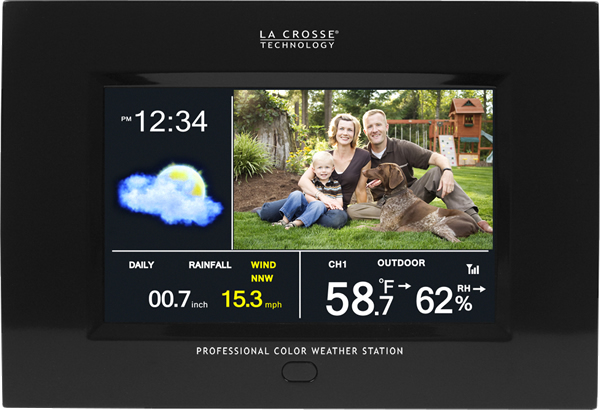 The La Crosse Digital Photo Weather Station contains an LCD display that lets me see the current weather along with my own personal photos. The weather conditions shown are inside and outside temperature, wind speed, wind gust, wind chill, daily, weekly and monthly rainfalls and pressure along with their trends. Setting up the weather station was simple. The included instructions have both a quick set up guide if you’re already familiar with the process, or there’s a more detailed instruction set in the later part of the book. 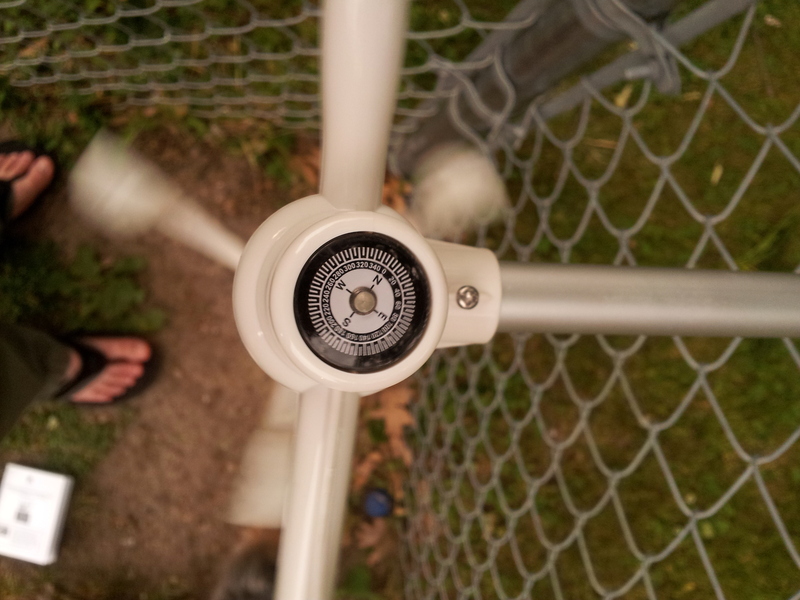 To setup the wind sensor, you will need a mast tube. I did not have a mast in my yard, so I used my chain link fence. The included U-shaped plates and bolts were easily secured to my fence. Before inserting the batteries, you have to calibrate the wind direction sensor to north. There is a convenient compass on the top of the sensor that lets you know which way to point the sensor. Once you’ve found north, insert the batteries and an LED flashes to let you know it’s collecting data. 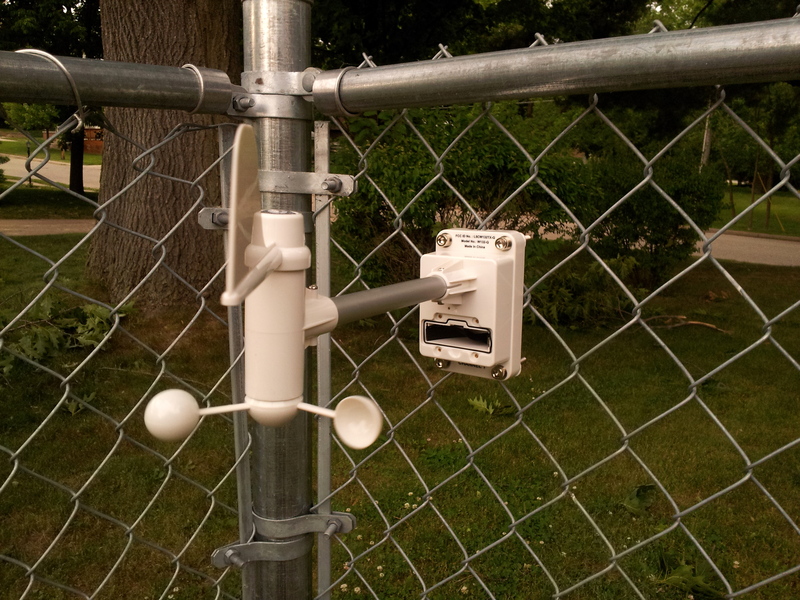 The rain sensor is even simpler to setup. Just find a flat horizontal surface and remove the top cover and insert the batteries. Screw the base down, and add back the cover. I installed it on my deck railing where it can easily measure the rainfall. Once the sensors are installed, linking them back up to the display is easy with the included remote. Go to the set up menu and select Search Now for Wireless Sensor Reception. Within 10 seconds I could see the wind speeds and temperatures on my display. To add photos to the display, upload jpg images to an SD card and slide it into the side of the display. Press Photos on the remote, and you will instantly see your photos in a slideshow. My favorite screen display is the Weather & Photos which displays my photos along with the weather. And you can always turn off the display to save power with the remote or with a button on top of the display. Even when it’s off, it still collects data. This Digital Photo Weather Station is perfect for a gift or to display photos in your home along with the weather. Instead of having a dozen photo frames and a weather station on your desk, this one unit brings them all together. Brian has been the web developer for Klockit.com for three years and writes the product descriptions online and takes many of the product photographs seen online and in the catalog. Previous Article What is a Clock Kit? I currently have this product and like it very much, I broke the rain guage, it seams that i cannot buy just that part, if I buy the total package again can i use both of the display screens with the one rain guage? Hi Terry, unfortunately we do not sell a replacement rain sensor for this product. 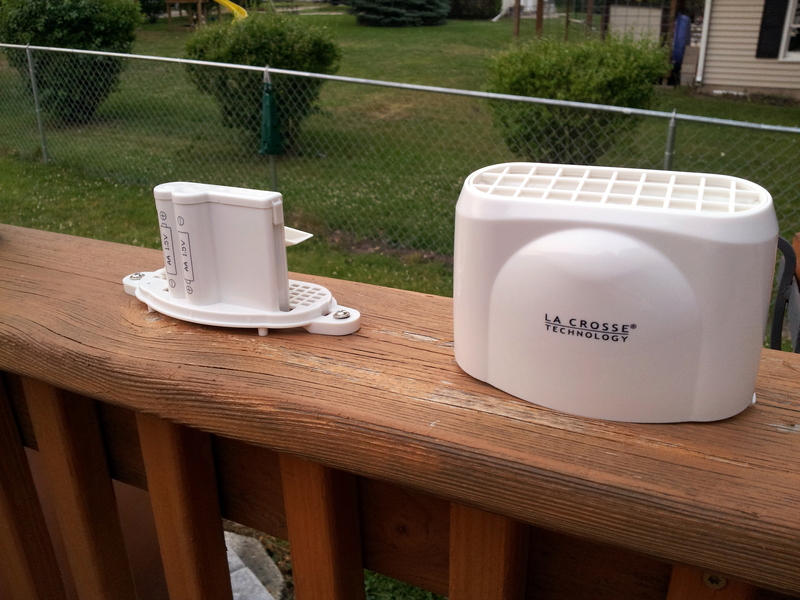 However, we have contacted La Crosse Technology to see if they carry a replacement rain sensor that will work with your weather station. We have also inquired about your question of using both displays with one rain gauge, and will email you as soon as we hear back. Thanks for checking on both thoughts. Your timely reply to my questions is very much appreciated.